New Semi-Automatic Electronic Tablet-Capsule Counter. This is a high speed and efficient batch counter, designed to count all shapes of capsules, tablets, or similar items. 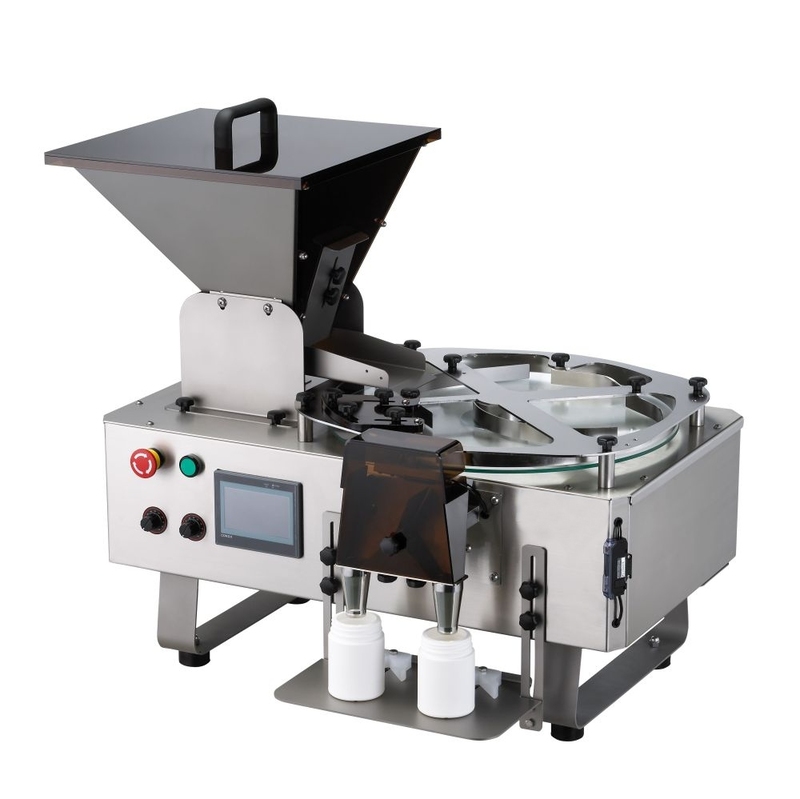 Features: a Stainless Steel hopper and a glass turntable, which meets GMP requirements. Batch range counts from 1 to 1,000 pieces. Smooth rotary system with computerized LCD counter makes for high accuracy. All parts are easy to clean and disassemble. No additional change parts are required to do different sizes. Dust compensator and sensor sensitivity automatically self-adjusts to offset the gradual accumulation of powder on the sensor window. All contacts parts are made of Stainless Steel 316 or FDA approved material. Electrics: 1Ph/60Hz/110V. Power Consumption: 0.2 Kw. Package Size: 116 x 156 x 78 cm. Net Weight: 70 Kg. Gross Weight: 140 Kg. Includes a Limited Warranty. Delivery Time: Immediate.